Cessna by far had the biggest display at the show from what I could tell. Their "booth" took up the most space, and spread over a full "city block" of Airventure's prized real estate, it was clear Wichita was out to prove the point that cash was flowing in and out of Textron coffers in an unstoppable stream. But close behind was Cirrus, which had an equally-impressive display of aircraft and merchandise. The Cirrus "booth" left no doubt in anyone's mind that this company is very much a leader in GA manufacturing. The sheer size of their uniformed sales force gave the impression that it took massive amounts of bodies to keep up with the writing of so many orders for new hardware at the show. At one end of the Cirrus booth was their jet, the SF50 Vision. As I stood next to this beautiful flying machine, I swear you could almost feel the drama swirling about it's sleek fuselage. There has recently been more questions about this project than answers, with Cirrus co-founder Alan Klapmeier making a much-publicized bid to round up investors and buy the jet project from Cirrus and form a new company. I was dying to ask one of the many Cirrus people about who might be building the jet in a year, but this was such a fluid situation even during Airventure, I know that getting a straight story would have been impossible. "Cirrus President Brent Wouters says Cirrus is proceeding with the Cirrus Jet project, calling it a strategic initiative for the company that is attracting investor interest and is moving forward into detailed design. "We remain committed to it. Nothing about this has changed that," he said." "Cirrus Visionary Alan Klapmeier Leaving Company - Although Cirrus Aircraft fielded a large display at EAA AirVenture last week in Oshkosh, Wis., notably missing from the Cirrus exhibit area and Cirrus’s press conference was cofounder and board chairman Alan Klapmeier. Now the Cirrus board of directors has decided not to renew Klapmeier’s contract and to seek a new chairman when his term expires at the end of this month. Late last week, Alan Klapmeier halted his efforts to acquire the Vision program. “It is us that ended negotiations when I thought we could go no higher and they could go no lower,” he told AIN. It is huge news any time a company founder is shown the door, if in fact that is what is happening at Cirrus. Klapmeier says his future relationship is "undecided", and in the most high profile and dramatic soap opera in general aviation, nobody outside of a handful of insiders has any clue what that means for Cirrus. But this I do know: I remain one of Cirrus's biggest fans, and would be honored to own anything off their showroom floor. The company is redefining GA transportation every day, leading the pack while everyone else chases them across the sky. Since I am not a Cirrus insider and know not one person who works there, I can only speculate with the rest of the GA community. And if Cirrus is really on stable financial ground, and if they certify and deliver the SF50, all will be perfect in Duluth for the NextGen of aircraft buyers who are today still in diapers. However, when any large industy leader changes top management under what appears to be rather turbulent conditions (think Eclipse), there can only be two results. One, they will continue their dominance as a sector leader, or two, they will be re-arranging the deck chairs as they hang on for dear life in a troubled economy that sees more factories shuttered each week. With GAMA reporting piston sales down 58% in 2Q09 vs. 2Q08, everyone's order books are thin. The challenges for Cirrus are great, and I believe this is crunch time for Team Wouters. I am sincerely hoping that at this time next year, and the year after that, and five years from now, Cirrus is still selling all the airplanes they can build. They are a great company and they deserve no less than many more years of success. Update @ 945A on 08.07.09: Comment on Twitter from someone saying I am "siding with Cirrus" in this post. 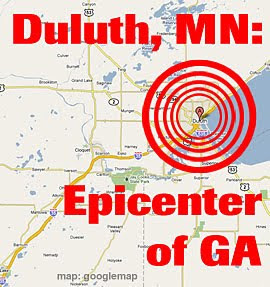 Here's the deal... since I do not know who is doing what to whom, or who said what, or how anything in Duluth is coming down, I refuse to make one side the victim and one the villain. Since I have no allegiance to either side - if there ARE sides - all I care to do is wish Cirrus well as they move forward.